After years of second guesses and a rising tide of Europhobia and scare stories, finally the UK faces the certainty of a vote on June 23rd on whether or not it remains a member of the European Union. This will be a debate about so much – about how people see Britain and its future, the English question, and the distinctiveness and autonomy of Scotland – all illustrating the absence of any uniform national British politics. The referendum will be dominated by concerns about the economy, immigration, security, and the UK’s role and influence in the world. It will also be about competing understandings of ‘sovereignty’ – with several different Tory perspectives, along with Labour, Lib Dems, UKIP, Scottish Nationalist and Green views. There will be similarities in language and tone to the indyref. Some of the same clichés will be invoked to breaking point, ‘Project Fear’ has been dusted down, and the trading and counter-trading of alleged pseudo-facts begun. Most people most of the time do not go round thinking of how ‘sovereignty’ impacts on themselves and their family. Instead, it is an abstract, something remote and ill-defined, and a concept open to many different interpretations – whose practical application is unclear. The referendum will see the regular invoking of ‘parliamentary sovereignty’. David Cameron has already promised a parliamentary act supposedly making clear that the British parliament and laws are superior to European law. Cameron last week talked in the Commons of ‘the illusion of sovereignty’ if the UK left the European Union – meaning that it would have the appearance of more sovereignty, but in reality have less. This drew the ire of Tory Eurosceptic Bill Cash, who demanded that the Prime Minister clarify these remarks. Tory Boris Johnson, when backing EU withdrawal, acknowledged the ‘excellent’ bill the government was bringing forward to ‘assert the sovereignty of parliament’, but contended that it was not enough and ‘cannot stop the machine’ and ‘rachet’ of greater European integration (Daily Telegraph, February 22nd 2016). Michael Gove’s 1,500 word document supporting exit stated, ‘I believe that the decisions which govern all our lives, the laws we must all obey and the taxes we must all pay should be decided by people we choose and who we can throw out if we want change’ (New Statesman, February 20th 2016). The competing idea of popular sovereignty has deep roots in the Scottish political tradition, and has most found expression in the American and French revolutions. Popular sovereignty has come to denote that the idea of political authority in Scotland emanates from a different source to that of the English idea of parliamentary sovereignty, but after that it all becomes much more hazy. 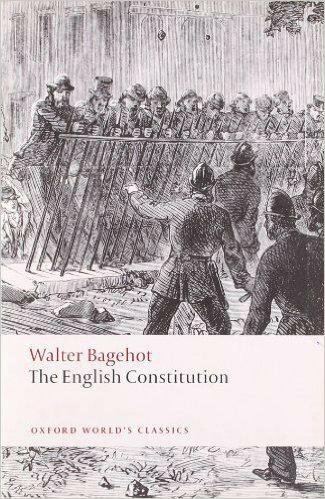 It is not an accident that Bagehot’s much cited book is called ‘The English Constitution’ and A.V. Dicey consistently talked about England – which was not an accident considering he examined the perils of Irish home rule and nuances of Scotland’s place in the union. This is a subject as old as the union – namely when the English and Scottish parliaments subsumed themselves in the British parliament of 1707 – why it is assumed by the Bagehot’s and Dicey’s that the Scottish parliament and its traditions was abolished, but the English parliament, and ‘parliamentary sovereignty’ retained? ‘Parliamentary sovereignty’ is a myth and folklore today – one which has become increasingly obsolete in an age of interdependence and globalisation, but also, as Eurosceptics never cease to remind us, in the world of the European Union. It isn’t just right-wing Bill Cash types who object to this, but historically, a deep strand of the British left, made up of the likes of Michael Foot and Tony Benn, who have bought into the idea of the mandate and ‘socialism in one country’. This is a view which Labour leader Jeremy Corbyn, and John McDonnell, sympathise with, but know they cannot explicitly state in the campaign. ‘Popular sovereignty’ is an even more vague concept with little clarity regarding any practical manifestations. Neither the American or French constitutions that sprang from their respective revolutions, despite all the enlightening language, actually created any practice of popular sovereignty. Neither has Scotland – for all the romantic symbolism of the MacCormick v. Cooper verdict of 1953 and ‘A Claim of Right for Scotland’ in the 1980s. Seldom explored is that sovereignty is an inherently problematic concept. This began as an absolute, all or nothing concept, whereby power and authority of rulers emanated from God, and was expressed in the divine right of kings. This then evolved to being held by political leaders who became accountable through parliaments and the views of the public. Yet sovereignty still has a sense of omnipotence in it, from the notion of the all-powerful parliament and mandate, to the idea of it as absolute and undiluted at the level of the nation-state. Many Eurosceptics believe that it is indivisible, and that you either have it in a pure sense or don’t – similar to being pregnant or not pregnant. Nowhere in this is the notion of pooled, shared, messy, fluid and multinational sovereignty allowed for; that is the reality of much of modern life, the 700 international treaties the UK is signatory to, or the dozens of supranational bodies it is a member of. Indeed, the ‘idea’ of the UK itself, a union state and state of four nations and not itself a nation, is one of ‘pooled’ sovereignty but one that many British parliamentarians seem to forget about as the rail against Brussels rule. This can be taken to a ridiculous extent by the likes of Dicey when he said that parliamentary sovereignty meant that it was possible to undo any act or law, including that which had created dominion status of the likes of Ireland and other former colonies. He made the case that the British parliament had the power to repeal such a bill and cancel the process of greater self-government and independence from the UK which it had agreed to. This was an argument of ‘Stop the World I want the British Empire to remain at its peak’. The next four months will see a lot of guff pronounced like that. Already former Tory Chancellor Nigel Lawson has broached Dicey territory by commenting that Brexit might lead to Ireland considering it had ‘made a mistake’ and seeking to enter back into union with the UK (newstalk.com, February 25th 2016). Jeremy Cliffe, who writes the ‘Bagehot’ column for ‘The Economist’ engaged in a kind of ‘Dad’s Army’ nostalgia for a Britain leading Europe when he wrote, ‘The EU is Britain’s to run’, clearly not paying sufficient attention to the UK’s awkward partner role of the last forty years (The Economist, February 21st 2016). The hyperbole of Britain as the ‘fifth richest economy in the world’, its global role and influence, soft power, and military prowess, will be to the fore, as will the memory and lore of Empire. Boris Johnson, celebrating British self-government and ingenuity, invoked this past to show that we could stand on our own two feet: ‘We used to run the biggest Empire the world has ever seen, and with a much smaller domestic population and a relatively tiny civil service’ (Daily Telegraph, February 22nd 2016). British exceptionalism will be celebrated: the idea that the UK is this blessed, unique creation whose ‘golden thread’ of liberty dates back to Magna Carta. The problem with such language is two-fold: first, yet again it invokes an English political tradition as British, and second, Magna Carta is as toothless and irrelevant as the terms of the Treaties of Union of 1707 in stopping restrictions of civil liberties and the intrusiveness of the state – witnessed this week by the UK Government’s unveiling of their latest version of the snooper’s charter. There is political duplicity at every level. When the UK joined the then European Economic Community in 1973, the country’s political leaders assured the public that this was merely an ‘economic union’ and that nothing else would change. They assured voters that the UK would go on being an independent self-governing nation, and this was merely a change to our trading relationships. None of this was true. Equally deceptive was the idea that the use of the referendum would not change British politics and democracy. First used by the Heath government in 1973 for a Northern Ireland ‘border’ poll, it was embraced by Harold Wilson’s Labour government to mask the bitter divisions in his party, after being suggested by Tony Benn. The 1975 referendum on Europe was a milestone for the UK. Then like today the ruling party was seriously divided. The Prime Minister of the time suspended collective cabinet responsibility and allowed ministers to disagree with each other. Then as now the weight of the British political establishment, business elites and the City of London, were all uniformedly for the UK maintaining membership. Harold Wilson weaved his way through the referendum in a way which today David Cameron could only dream of. However, rereading some of the debates of forty-one years ago, one repeated characteristic is the constant need of the political classes to pretend that nothing was being changed. In the first parliamentary sitting after the 1975 vote, Wilson was asked by Tory backbencher John Eden, ‘Will the Prime Minister keep to his determination not to repeat the constitutional experiment of the referendum?’ Wilson replied, ‘I can certainly give the Right Honourable member the assurance he seeks’ (Hansard, June 9th 1975). The Britain of Bagehot and Dicey was slowly being weakened by the historic entry of the UK into the European club in 1973 and then by the use of a referendum two years later. All the protestations were about denying this to themselves and the people, and maintaining the artifice of a Westminster Alice in Wonderland bubble. Today we haven’t moved that far forward in our assumptions, with the British political classes clinging to the wreckage that Europe hasn’t really changed anything and we can have ‘consultative’ referendums whenever we like without changing anything, while invoking the arcane idea of parliamentary sovereignty. This is an out of date dance and deception: part of the diminishing mysticism and supposed magic inherent in the ‘invisible’ parts of the English/British constitution. There is no desire to reflect that the regular use of referendums weaken parliamentary sovereignty, and indicate a shift towards at the least, a nebulous notion of the sovereignty of the people. Instead, most of the noise we will hear about ‘British sovereignty’ is actually a default for the pains of a confused ‘English sovereignty’ – and one which is increasingly problematic and intolerant – expressed in such parliamentary manoeuvrings as ‘English Votes for English Laws’ and reducing the status of Scottish, Welsh and Northern Irish MPs in the UK Parliament. This isn’t Scotland’s chosen debate, but it profoundly touches on how public opinion and the nation see itself. Nicola Sturgeon and the Nationalists regard this as an unprecedented opportunity to place themselves ‘standing up for Scotland’s interests’, positioning themselves on the right side of majority and elite opinion, and posing their opponents as wicked Westminster and the deranged cannons of UKIP in Scotland. She went on to say, ‘If Scotland were to vote in favour of EU membership and the rest of the UK were to vote to leave – if Scotland in other words was to be outvoted – then there is a real chance that that could lead to a second referendum on Scottish independence’ (The Times, March 1st 2016). That is a scenario that might suit some of the more black and white Nationalists, but would be a recipe for confusion, argument and delay, and not one conducive to independence being a smooth, velvet divorce. There is also a contradiction in SNP approaches to independence and notions of sovereignty, on the one hand being comfortable invoking shared and pooled sovereignty in the European Union, but when it comes to Scotland, being essentialist and romanticist, and using formula like Michael Gove’s at the beginning of this essay, and ‘the people who live in Scotland are best placed to make the decisions about Scotland’, irrespective of political realities (currency union, continued role of Treasury and Bank of England). The EU debate is already showing signs of threat and counter-threat exceeding the indyref. There is the spectre invoked by the UK government of the Calais Jungle having to be relocated to England, of the end of cheap travel, and of EU withdrawal lasting up to ten years and producing mayhem – when the process as laid out in Article 50 of the Lisbon Treaty of 2007 is meant to be concluded within two years or less. Relevant to this last point is that it took less than a year for the UK to join the then EEC – signing the Accession Treaty on January 22nd 1972 and becoming a member of the union on January 1st 1973. The next four months will witness an awful amount of fire and rain, and invocations of ‘sovereignty’, but not much clarity. The British elites have lost control of the processes and have to pretend the exact opposite – that they can offer certainty, stability, security and prosperity if only we follow them on this and other issues. At the same time, they tell us that the world is a dark, untrustworthy place, filled with nasty rulers and terrorists, and we should trust no one, except the political class of our country. One constant in all this is the power of fear in uncertain times. In 1973 the UK joined Europe through fear and anxiety of being left behind as ‘the sick man of Europe’. Today that perception is no longer true with Europe stuck in economic paralysis, and fear will play a major part in whether the UK stays or exits – with the stay option having the advantage. It is a confused message, only matched by the even more contradictory different messages of the multiple Leave campaigns. Expect over the next few months to hear the word sovereignty thousands of times as politicians on both sides try to pretend that they can offer neat, tidy solutions and that the future will be simple and painless, if only we agree and vote with them. It won’t, and wouldn’t it be great if, after all the falsehoods and scaremongering, some prominent politicians acknowledged that much of this debate was about the perennial issue of ‘who speaks and stands for England?’ and what that means. If only the political class could admit that, in the face of unprecedented and multiple challenges, there was much that they didn’t know – and that in such a world, uncertainty, doubt and unpredictability are the only things we can really be certain of, that would be a moment worthy of all the rhetoric and hype.